This is a subject very close to my heart – it’s part of my ‘real job’. I’m not a die-hard Greeny but I do see the logic in reducing the amount of waste you produce and reusing or recycling where possible. Project Manager would probably say I gave him a hard time at the design stage to try and reduce the amount of materials we needed to buy through careful planning but that was my wallet talking rather than the green in me – I am Scottish after all! At that stage, we did our bit to ‘reduce’ by planning window placement and wall sizes to use whole bricks. 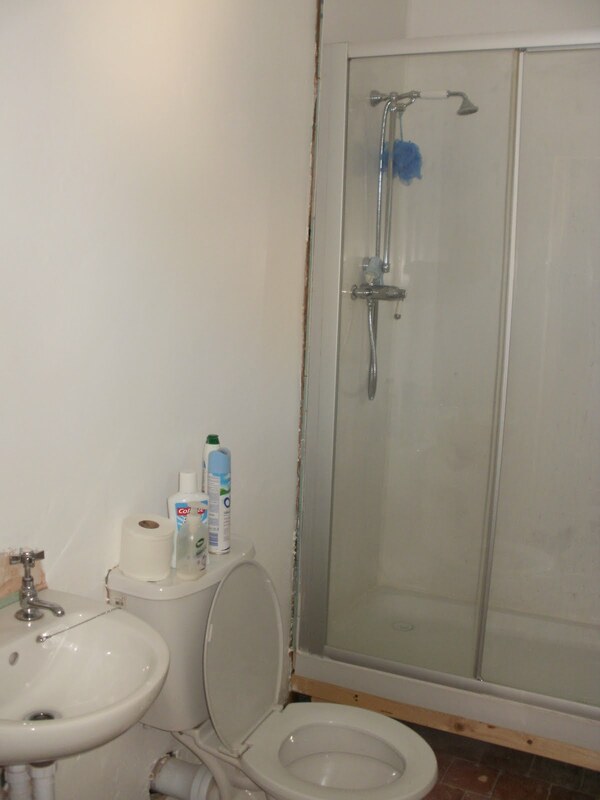 We had always intended to reuse the existing shower because it’s a double size one and I hate to even think what a new one would cost! 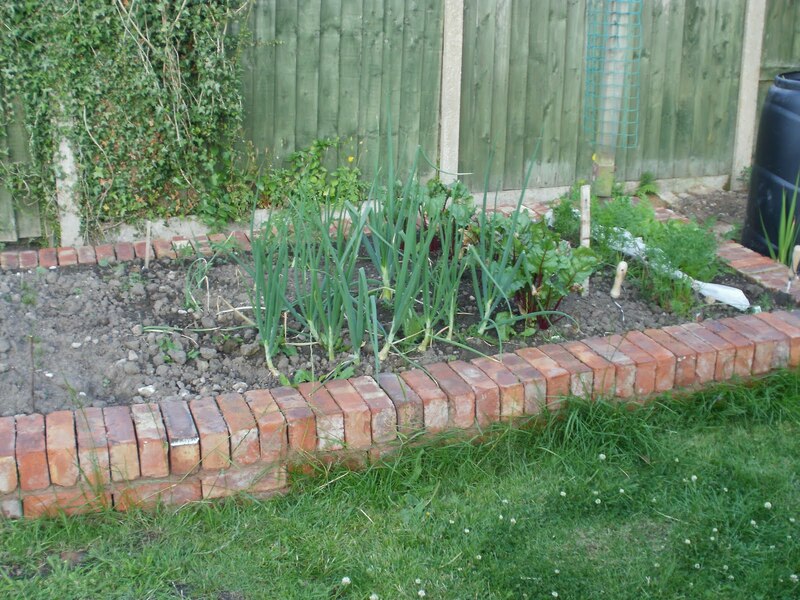 One of the first jobs was to knock down the old brick outhouse and all the bricks from it were reused in building my, now flourishing, veggy plot. 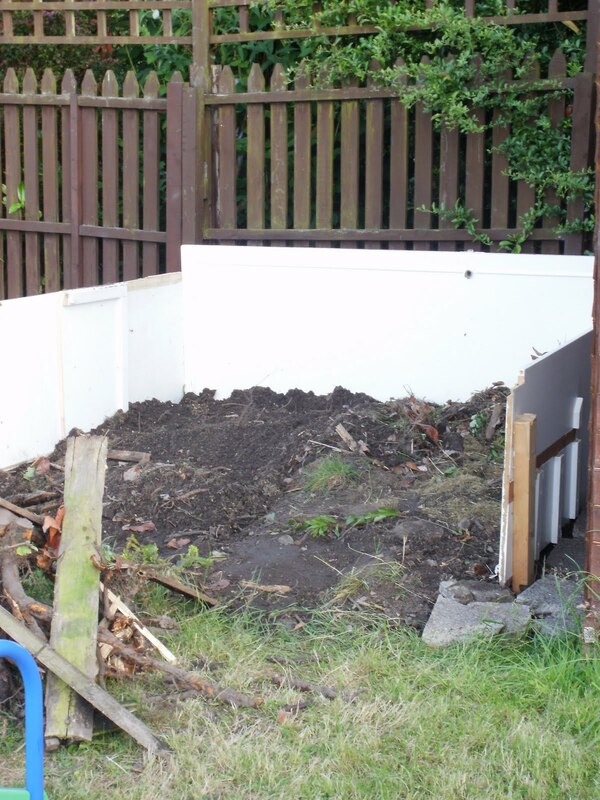 The latest addition to the garden is a large compost heap built using the old built-in wardrobe panels. I have also called on friends, colleagues and neighbours to offer wood for stoves and bricks for building projects. I’ve not been so generous when it comes to my scrap metal though. Project Manager was to be seen rolling his eyes anytime I mentioned saving scrap to sell as, by this point, he was convinced I was being a Greeny. But he let me get on with it – to find out myself that it wasn’t worth doing, apparently. I filled the boot of our estate car with all the scrap that I could handle one day, loaded my shortest wee man into the front and drove off to find our local scrap dealer. And boy was I smug when it was all weighed and counted and I came away with £60! From the receipt it was clear that copper pipe was the big earner so after that, reuse went out the door and Project Manager was sent under the floorboards to retrieve all the bits of the old central heating system – another lucrative run of £80. I now have a metals container sitting in the garage alongside all my other recycling bags and make regular trips to the scrapyard – and no piece of metal is safe!